If you are looking for information on the Allstate Home Inspection franchise business opportunity, Allstate Home Inspecting franchises or Allstate Home Inspection franchising, then you have come to the right place. At Allstate Home Inspection and Household Environmental Testing, Ltd., we're committed to positioning our franchisees to take advantage of the trends of today and tomorrow. That's why AHI has developed a certification program, turnkey environmental testing system to compliment its trendsetting home inspection program. Today, our franchisees are reaping the rewards of being trained in two related but distinct systems, home inspection and environmental testing, all under the umbrella of one visionary franchise. Buying an Allstate Home Inspection franchise is like buying two franchises for the price of one. As the only true "one stop shop" in the home and environmental services industry, our franchise owners are building thriving businesses and enjoying unparalleled success. Why are AHI franchisees so happy? We offer the most comprehensive home inspection and environmental training in the country. Our initial training program was specifically designed to prepare our franchisees to be ready to practice home inspection, radon measurement, mold testing, air and water quality testing, lead wipe sampling, and septic system testing. By giving our franchisees the ability to market so many varied services right from start, they're able to more rapidly acquire their first customers, market to a bigger marketplace, and start generating profits more quickly. All of our franchisees are trained by AHI President, Francis X. (Rich) Finigan, America's #1 Home Inspector. Francis X. (Rich) Finigan is a regular contributor to several industry publications including columns in, "Real Estate Valuations", and FREA's "Communicator". He's also the published author of "How to Start and Operate a Home Inspection Business" and "Mold: A Growing Concern" as well as one of the most sought after speakers on the home inspection and environmental training circuit. After you've completed the initial training AHI brings its industry-acclaimed training directly to your place of business and tutors you one-on-one in order to give you the kind of hands-on field experience that simply can't be duplicated. All new franchisees participate in AHI's Telephone Outreach Project (TOP). When you open your new AHI franchise, we will assign you a marketing expert who will set your first realtor appointments for you. We won't only train you how to do it; we'll go with you into the field and show you how to do it. Our franchisees are able to enjoy the quality of life that comes with building a significant income in two exploding industries from the comfort of their own home. You will not have large staffs or commercial leases cutting into their profits margins, AHI franchise owners possess a rare degree of freedom and flexibility, a flexibility that ensures that your life outside of work can be as equally rewarding as your life within it. This is definitely an exciting time for AHI and our franchisees. Ten days of award-winning start-up training - Every franchisee attends our award winning start-up training program taught by Francis X. (Rich) Finigan, America's #1 home inspector, and his team of industry experts. Our expert instructors will teach you how to masterfully perform every one of your home and environmental inspection responsibilities. You'll also be trained to market your new business using AHI's proprietary marketing system. The capstone of your initial training is a visit by one of our industry experts to tutor you in your territory. You'll have the opportunity to watch your expert mentor in action and you'll have the rare chance to have your training significantly impact your start-up as your mentor helps you market your business and perform your first inspections! Grand Opening Preparation and Assistance - With AHI coaching, you will eliminate the wasted time and money that often occurs during the set-up and start-up of a new business. 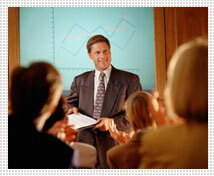 In addition to your initial training all new franchisees participate in our industry-acclaimed Jumpstart program. Our Jumpstart program gives you step-by-step instructions for everything from setting up your business entity to researching your local advertising media. By completing your Jumpstart, when you complete your initial training you'll be ready start doing inspections and making money before the day your training is complete. Marketing Assistance - All of our franchisees are trained in AHI's proven marketing approach and given access to our professional-grade marketing collateral. We'll teach you exactly how to approach and develop your referral base, show you what they look for in a home inspector, and we'll give you the tools to not only effectively create these critical relationships but to maintain them long-term as well. Telephone Outreach Project (TOP) - In addition to your extensive marketing training, an assigned AHI marketing expert will directly support you. Your marketing expert will contact real estate professionals on your behalf and help you gain your initial foothold in the marketplace. This program was purposefully designed to give AHI franchisees the superior marketing support that they deserve. Seminar Marketing - Learn to market educational seminars to whole offices of a real estate agents, banks, attorneys and more and watch your business explode!Our seminars are incredibly effective at positioning you as an expert in your industry and exposing you and your company to large segments of your target market. Proprietary Reporting Suite - From America's #1 home inspector comes America's #1 reporting system. AHI's reporting system is the envy of the industry because it facilitates the best inspection system in the world. The suite includes field reports and proprietary software. Inspection and Testing Equipment - AHI issues a complete equipment package during training that includes everything you'll need to professionally perform your inspections including environmental testing materials. Health Insurance - AHI has listened to the needs of our franchisees and researched the health care industry on their behalf. The result is a program that gives you easy access to leading health care providers with packages and plans that should best meet your needs as the proprietor of a new, small business. Financing - In order to ensure that you're going to be adequately funded for your start-up, AHI has assembled a number of attractive third-party financing options. We can help you find a financing option that meets your requirements both commercially and personally. We can also walk you through the application processes and help you develop a business plan. Ask your developer for more details. Toll Free Expert Hotline - Our toll free number gives our franchisees direct access to experts in every aspect of an AHI franchise. Whether you're calling for marketing advice or help with a particular inspection, our toll free number gives you easy access to the answers you need when you need them. On-Going Training - is the backbone of our successful franchise training. With the most highly respected assembly of industry experts on staff, AHI is committed to ensuring that our franchisees are perpetually at the forefront of our industries as innovators and trendsetters. Preferred Vendor Savings - All of our franchisees enjoy the "economies-of-scale" savings provided by our bulk ordering of marketing and support materials. Because we buy all flyers, brochures, and forms for all of our franchisees, we are able to pass down considerable discounts and provide our locations with top-notch, professionally designed materials. For their ongoing contributions to AHI's advertising fund, all of our franchisees receive . . . Regional and National Branding - As AHI continues its national expansion, our franchisees enjoy a collective recognition that significantly impacts their individual marketing efforts. Because so many real estate companies are national, AHI's reputation as a reliable "one stop inspection shop" is quickly spreading from coast to coast. New AHI franchisees can often times benefit from the impressive work of those that have pioneered the AHI reputation. Marketing Development and Guidance - As you begin to master our marketing systems, you'll want to develop new and creative ways to reach beyond your local real estate market. Our resident experts can help you negotiate booths at a local fair or help you produce a new mail-out idea. As you expand, you'll have complete access to our catalogue of flyers and brochures, coupons and direct mail pieces, newspaper and periodical literature, camera-ready ads, press releases, broadcast quality audio and video infomercials and, much, much, more! And many more additional services!